We buy used cars, we sell used cars, and we sell used car parts at Wreckland. For over 15 years, our family-owned business has provided Auckland residents with the opportunity to buy inexpensive cars and car parts. If you need recycled auto parts for nearly any make and model, we are the Auckland auto wreckers you can count on. Wreckland works primarily with panel, mechanical, auto-transmission and auto electrician workshops and suspension and brake specialists. Call us on 0800 555 205 (free call) today! The modern auto recycling process is a model of environmental responsibility. Each vehicle goes through a methodical process designed to recover the maximum amount of materials while minimizing environmental impact. Each vehicle is first carefully inspected to determine which parts are appropriate for reuse. An average of 20 liters of fluids is removed from each vehicle to be used, reused or safely discarded. Other parts like gas tanks, batteries and tires are all removed and recycled, reused or disposed of appropriately. An accurate inventory data set consisting of the VIN number, mileage, make, model and year are recorded for each vehicle. second hand car parts can be purchased at roughly half the cost of new parts. They are diligently and strictly road tested and guaranteed to fit the vehicle. Be it a vintage model component, an obsolete one or a hard to find part, you can be sure that each used car part will perform to the same standards to which they were designed. 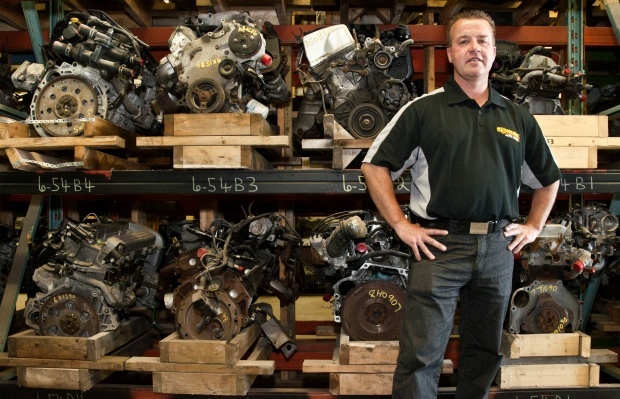 All Auckland car wreckers guarantee that all their parts are in good working condition, if not they will exchange them. Some members offer longer warranties and even make optional extended warranties available. Feel free to ask for that when you are purchasing your auto spare. This network of inventory management system allows any a to search for a particular Used Car Part via its network of auto recyclers.